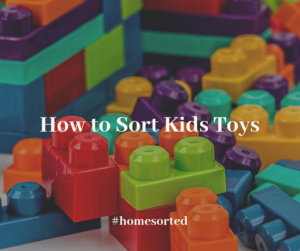 How to Sort Kids Toys - Home Sorted! It’s a familiar scene – you’re unwrapping Christmas gifts with the family only to realise that your kids toy collection is growing rapidly. The joy on their faces is unmeasurable – much the same as the panic on yours when you think about where you’re going to keep all these new toys! Thankfully, we’re here to equip you before the festive season rolls around with our handy guide to sorting toys. There is no better time of the year to declutter your kids toys collection than Christmas. Not only will your kids be distracted with their new items (if you wait until post-Christmas) but any donations you make to charity will be warmly welcomed by those who are less fortunate. In order to sort your kids’ toys, you must first be prepared. We recommend incorporating as much storage as possible within your kids’ bedrooms. This can include bookshelves, under bed storage, baskets, and even buckets. Essentially, if you can toss a bunch of items into it and pop it out of view, it’s a winner. Under bed storage always gets out vote for this one as it’s often an area that we forget about. You can use baskets or slim plastic containers with lids. Simply pull them out when you need something and push them back under when you’re done. If you feel that your kids’ toys are taking over your entire home, consider creating a toy library system. The way it works is that you keep all your kids’ toys in one area of the home. Each day you allow your kids to choose a certain number of toys and that’s it. Repeat the process the next day by checking yesterday’s toys back into the library and letting your kids choose new ones. We recommend a maximum of three toys per day as this gives enough variety for your children to stay entertained and won’t clog up the entire house with endless toys and activities. Now, we’re well aware that this process may have some teething issues. But stick to it and your kids will learn the system and start to look forward to choosing their toys each day.